When you need reliability and strength in a dock winch, consider dock and boat winches from Dock Boxes Unlimited and rest assured that your vessel will be safe and protected. With extra heavy duty construction in winch frame and spool brackets, our dock winches are tough. Hot-dipped for added durability and superior corrosion protection, you can count on smooth operation as all fittings and wear and stress points are greased and ready to go. With a variety of strong and reliable marine dock winches for you to choose from, whether you need to lift 1,000 pounds or 3,500 pounds, we have you covered! Dock Boxes Unlimited marine winches are engineered to add the muscle, eliminate frequent maintenance, and bring strength and dependability to a whole new level. Dock Boxes Unlimited offers heavy duty steel marine winches for marine dock applications. All of our winches come with adjustable handles and have spring loaded holding dogs for a secure lock and easy operation. These docking winches are designed with marinas and boaters in mind. 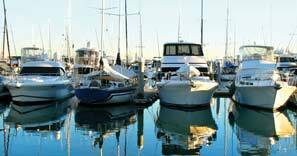 Our marine winches are perfect for marina docks that have tidal or fluctuating water levels. When nothing but the best dock winch is needed, count on the strength and durability of Dock Boxes Unlimited heavy duty marine winches. Our boat and dock winches have a holding capacity of up to 10,000 lbs and a lifting capacity of up to 3,500 lbs. These dock winches are made from hot-dipped galvanized steel for added durability and protection. The solid steel gears and heavy duty components deliver the industrial strength you are looking for in quality marine and dock winches! If you want the maximum strength and durability for the best price, Dock Boxes Unlimited is the #1 provider for heavy duty dock winches. Our heavy-duty galvanized steel marine winches are extremely durable and will last a long time. With a holding capacity up to 10,000 lbs, you can count on our top-of-the-line dock winches for years to come. We have four models of dock and boat winches to meet your needs. If you need a dock winch with industrial strength, model #23 or model #10 will not let you down! For smaller loads, model #8 is a cost-effective option that offers the same high quality construction but with a little less capacity. If you are looking for something in between, model #11 may be the perfect heavy duty winch to tackle your marina needs. Although our dock winches range in price and capacity, any of these boat and dock winches will provide you the strength, longevity, and reliability you can depend on. When you need reliability and strength in a dock winch, consider dock and boat winches from Dock Boxes Unlimited and rest assured that your vessel will be safe and protected. With extra heavy duty construction in winch frame and spool brackets, our dock winches are tough. Hot-dipped for added durability and superior corrosion protection, you can count on smooth operation as all fittings and wear and stress points are greased and ready to go. With a variety of models to choose from, whether you need to lift 1,000 pounds or 3,500 pounds, we have you covered.